A living room without a coffee table is not complete. 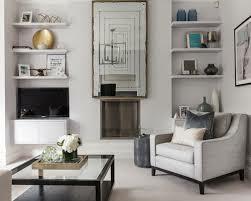 Coffee tables serve several purposes; from completing a look, to storage and display they are much needed in a space. The question is which style will work for your room. Should you go with a wood one with chunky legs, metallic with a glass top; should it be round, square or rectangular? The options are endless and at times can be overwhelming. 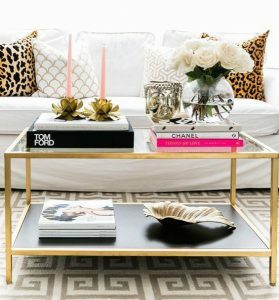 Here are some tips for you to follow, so that you can be sure you buy the perfect coffee table. The price points for a coffee table can range from ultra-expensive to very budget friendly, so before you start shopping know what you have to spend on it. 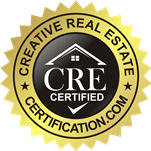 Your overall budget should be broken down to into areas such as, accessories, lighting and furniture. The furniture line item includes the sofa, side tables, chairs and coffee table, with a larger portion allocated to the bigger pieces. The good news is that you can bend a little on your budget if you see something you love as long as it does not comprise the quality of the sofa or chairs. As you lay out the plan for your living room, think about the best shape for the space. Do you have children or pets? Is it a large room or is it small and narrow? A round or oval coffee table is ideal if you have children or pets. The curved edge means a sharp corner injures no one if one falls or bumps into it. Using a rectangular shape and allowing 30 inches between the television console and the coffee table will give you the right amount of room to walk between the two pieces. A rounded one gives a little more room to walk past, as it will curve away from the television console. Another important factor is to know what the primary use will be. Will the table be more decorative, or provide storage? How much storage will be enough? Tables can come with shelves, or drawers to hold everything from kids’ toys to that stash of magazines you will someday read. Regardless if storage is needed, there is still a good chance you will want to be able to place a drink or a plate down without the risk of tipping over. Pick a piece that will hold drinks and snack plates with ease. If décor is more the purpose, you can focus on one with lines and texture in a material you love. 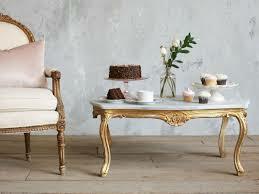 Formal, informal, modern or vintage; these are all styles to be considered when purchasing your coffee table. 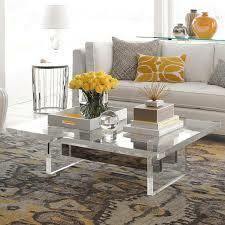 If you favor a contemporary look, choose a sleek metal table with a glass top. If country casual is more your speed, a rustic oak table would be perfect. Pick a round table with wood turned legs for a romantic feel. There are many styles to choose from, just use the decorating scheme of the room as your guide. Every piece in your room sh ould be the appropriate scale. For example, a heavy clunky overstuffed comfortable couch paired with a dainty coffee table is not the right scale. Pair an overstuffed couch with a large table instead. The two pieces, being of equal weight and size, will be more in scale with each other. 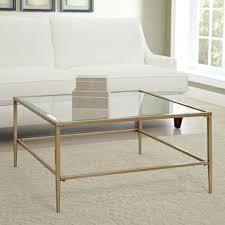 It is best to pair the dainty coffee table with a smaller more delicate loveseat or settee. Scale is simply about the size and visual weight of objects in a room being comparable. Sometimes thinking outside the box allows you to find the perfect coffee table that perhaps is not a table at all. Old steamer trunks, cedar chests and ottomans are fabulous alternatives to the typical coffee table. Each option offers its own eclectic appeal. Ottomans for instance can be made of leather or beautiful fabrics that will add some additional visual interest and texture to the room. They can also serve as a place to put your feet up without concern for the tabletop. They will work well in any high traffic family room that gets a lot of use. Often trunks were the only way immigrants brought their lives from the old world to the new. Now that you have decided on a budget, determined your style, functionality, size and material it is time to shop. That is the best part about decorating, right? You can shop the high-end department stores, you can cruise the flea markets or wander the antique the dealers. Just remember to bring with you the measurements of the room, the space available in front of the sofa, the height of the sofa and images of other furnishings. These will help you to pick something that is to scale, matching in style and perfect for your room. I prefer rectangular coffee tables, large ones. I couldn’t stand to have a small one. That may be just because I prefer to decorate my coffee table. I rarely use it for actually putting things on; usually I reserve my side tables for that. I can’t stand a messy coffee table, it drives me crazy! Completely agree. I don’t even keep my remotes on it 🙂 I have a special box that I keep them in to hide them. I don’t like to have random things out in case guests pop over. Plus, we entertain frequently.